“We are a start-up cosmetics brand that wanted not just to stand out, but to stand for something. More than just beauty, we try to provide inspiration for young women to achieve their goals and provide alternative roles models for them. Quite a tall order for a wee beauty brand, no? Well we decided use our packaging as a canvas for young artists, featuring specially commissioned work, with artists receiving a profit share of each product sold. Really good illustrations on the box! This is really fabulous. 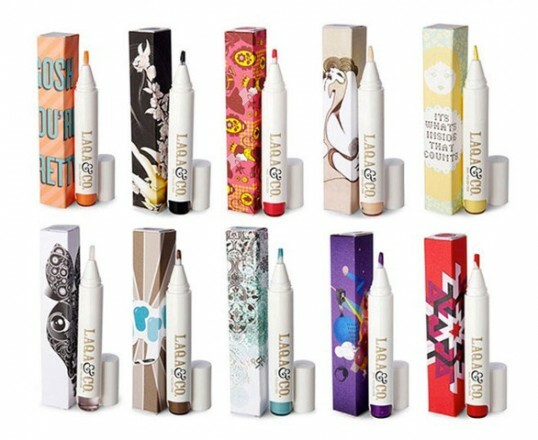 Some makeup lines work with an artist for limited-edition items/collections, but I don’t think a company has ever used a fleet of different artists to create their permanent line. Such an amazing idea that you can actually find the art that’s on the box! 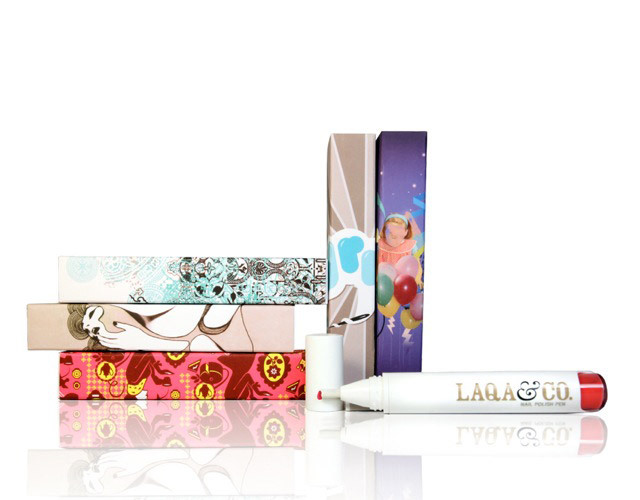 It takes the notion of makeup packaging as art even further than I have.